Readers of the American Intelligence Media and Americans for Innovation know where all this is headed – right into the heart of the Queen’s Privy Council. Conclave researcher John Barnwell provides an update on the British saboteurs who have been working with Senior Executive Service and Crown Agent operatives to overthrow Donald Trump. POTUS doesn’t just casually tweet. His tweets are information weapons. What missile did he launch with the tweet above? Why was it launched a day after accepting the Queen’s invitation for a state visit? Get to know the British actors and you will be ahead of any news narrative- propaganda or independent – as the the next chapter of the Trump overthrow attempt begins to unfold. Sir Geoffrey E. Pattie, founder and chairman of Cambridge Analytica and parent SCL Group (Strategic Communications Laboratories); co-founder with George Soros of the Open Society Foundation. Alison Saunders, CB, the Queen’s top prosecutor came to dinner at Bruce and Nellie Ohr’s home four days before the infamous Trump Tower meeting. Election interference by a Queen’s agent is espionage and for the Americans who helped is treason. The Crown appears to both direct and shill for the U.S. Senior Executive Service (SES), Serco, Crown Agents, Rio Tinto, Urenco, Uranium One, Lockheed Martin, The Aerospace Corporation, BAE, OPIC, USAID, USTDA, MCC, DoD, State Dept, Patent Office, Commerce Dept, HHS, DOE, DoE, NSA, C.I.A., FBI, DOJ, TheCityofLondonUK, Gates Foundation, GSC, Wall Street and Silicon Valley Too incredible to be true? We thought so to, but the facts say otherwise. History Lesson: On Dec. 09, 1916, new British Prime Minister David Lloyd George formed a five-person War Cabinet. Since then, The Crown has made Russia the brunt of their machinations going back to the British War Cabinet failing to provide promised military assistance to Russian Czar Nicholas II – King George’s cousin. This resulted in the Bolshevik Revolution within three weeks of War Cabinet Lord Alfred Milner’s return to London from Russia; where he failed to provide Russia the needed resources that the British government had already approved. Vladimir Lenin had just made his banker-financed and visa-waived train trip by sealed train through war time Germany back to St. Petersberg (Petrograd) from Switzerland during the Russian Revolution of 1917. Lenin immediately arranged the execution of the Czar and his family (Jul. 17, 1917) as one of his first acts of treachery. Sir Nick Clegg, Lord President Queen’s Privy Council (2010-2015), Facebook Vice-President of Global Affairs and Communications. Sir Nick directed the world’s top propagandists at SCL (Strategic Communications Laboratories aka Cambridge Analytica). Lord Mark Malloch-Brown, directs the One-World-Government Globalist takeover of America by the Queen’s Privy Council. He rigs elections from Venezuela & Estonia to USA. He rigs electronic voting machines owned by him, George Soros and Mitt Romney. He controls the U.S. Senior Executive Service (SES). Note to readers. As more veils are lifted in our search for full disclosure and ultimate truth, you will discover many more foreign actors that were involved in the overthrow attempt of Donald Trump. And don’t think for one minute that they aren’t gearing up for a final shot at him when he visits the Queen in June. Robert S. Mueller, III. (Released Apr. 18, 2019). Vol. I of II, Report On The Investigation Into Russian Interference In The 2016 Presidential Election, March 2019, searchable, compressed. U.S. Department of Justice. Well, well…here comes the alternative media (article below) with the revelation that the British were involved in the coup. Richard Dearlove and Arvinder Sambei are two British operatives who are Robert Mueller’s handlers. They have been meddling in US affairs since 911 when they used fake news about weapons of mass destruction to get us involved in almost two decades of war. Our research took us right into the Privy Council as the origins of the coup. We used EVIDENCE to lead us to truth and once the fake news reporters like John Solomon and Sara Carter stop swimming in the shallow end of the truth pool with their limited Fox News hangout, we will all get to truth a lot faster. The British monarchy attempted the overthrow of Donald Trump. This is the origin of the coup. The overthrow of Donald Trump is not just an internal U.S. domestic coup. It is symptomatic of the global corruption over the entire earth, from the Venetian bankers of long ago to the Queen’s Privy Council and Knights of Malta today. 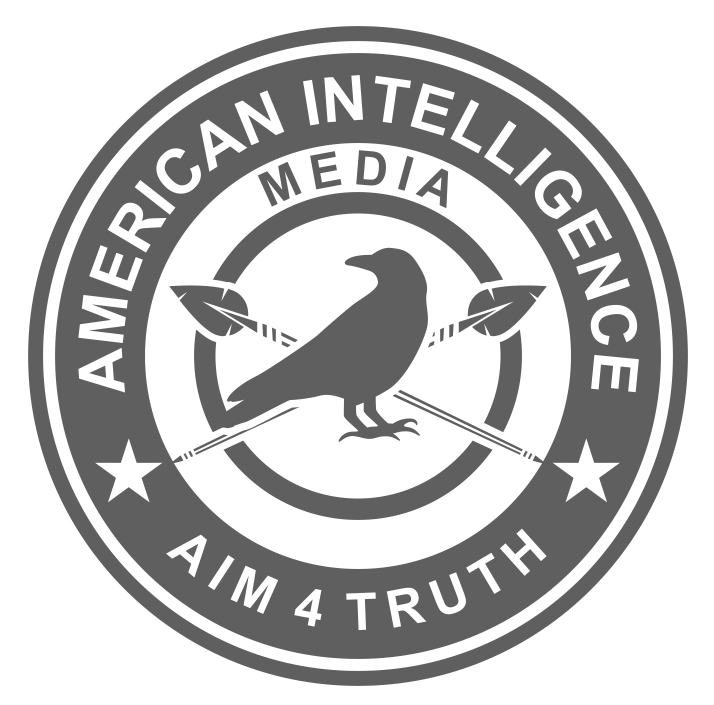 We salute AIM patriots around the world for exposing how criminals in your own countries conspired with operatives like Richard Dearlove, Mark Malloch-Brown, Geoffrey Pattie, and Vatican insiders who continue to overthrow Donald Trump. Earlier this week, we learned that the Ukrainians have information on Joe and Hunter Biden that they will only hand over to Bill Barr. If readers in the Ukraine have updates on this matter, please send them to us as our U.S. media is a farce. ‘Russia collusion’ season may be over, but gator-hunting season is open. Grab your best information weapons and start beating the hell out of the D.C. swamp gators. Start by contacting the Supreme Court and demand to know where Ruthie is. Remember, they are YOUR employees! Treat them as such. Don’t be shy when you call. Demand an answer… get in their ‘digital space’ and wreak havoc that the Supreme Court thinks it operates for the benefit of the swamp. Then contact your congressperson and demand to know why Richard Dearlove and the Queen and the folks on the Privy Council haven’t been slapped with economic sanctions for espionage, election meddling, and warmongering. If the British reply is that they are ‘still in control of America’, then we need to finish what we started in 1765, but only thought we had won in 1783. They tricked us into believing that we actually won our independence from Britain. We didn’t – they infiltrated in our system the entire time, publishing fake history books to be used in their public school indoctrination schools, then feeding us a steady diet of propaganda and puppet politicians so that we can never discover their secrets and sins. Patriots, it’s time to beat the bloody British monarchy…once and for all. BONUS: This will help British patriots claim their nation from the globalist EU. Battle of New Orleans, In 1814. Here is some bumper music to get your game face on before you contact the Supreme Court to demand proof of life of Ruthie. So obvious Papadopoulos was set up by Mifsud and Halper. Equally obvious the DOJ/FBI did not want to bring any attention to the fact that Mifsud, Halper, Roh, Downer were FBI assets, agents, or both. This is such a nothing burger. George Papadopoulos. (Oct. 25, 2018). TRANSCRIPTION: Interview of George Papadopoulos, Joint Committees on the Judiciary and Reform and Oversight. U.S. House of Representatives.